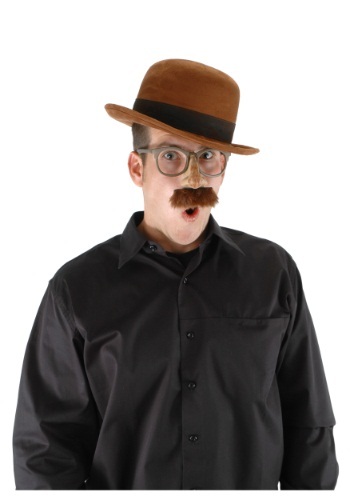 Think of legendary figures (both real and fictional) who have worn fedora hats. Gangsters like Al Capone. Adventurers like Indiana Jones. Football coaches Tom Landry and Paul "Bear" Bryant. Even the King of Pop, Michael Jackson. 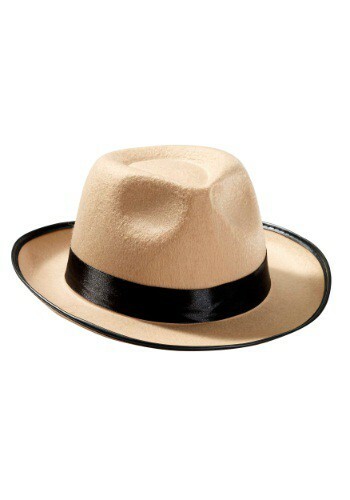 This Beige Fedora would be a great addition to any costume depicting one of those characters. But did you know that the fedora actually originated as a woman's hat? This is the cutest hat for your little chickadee! This Big Bird Hat will keep your little Sesame Street fan cozy when the weather is icy! 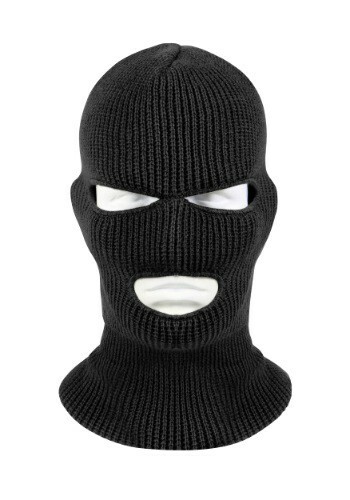 This hat is especially designed to keep a toddler's head warm. The hat has a beak and braided tassels! Some (not all) bees can be very vicious. For example the Africanized bees are more likely to attack relentlessly and in larger numbers. They can chase after a threat for over a mile. 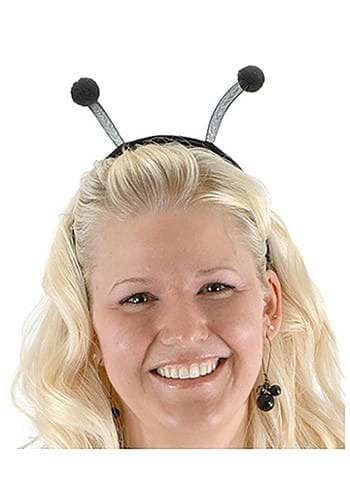 While wearing your Black Bug Antennae, please don't chase a person for a mile with the intent to sting them. It's just to nice and... you're not really a bee. 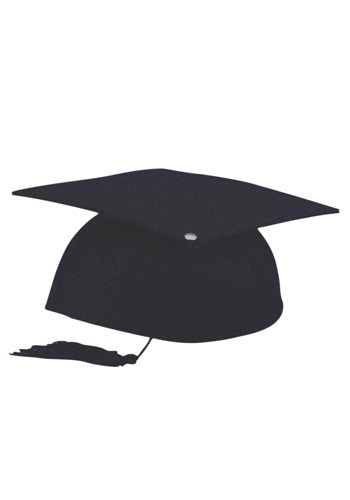 Why wait for graduation to get a silly black hat with tassels. Whether you got that degree or not, you can at least tell people that you're a big shot graduate. All you need is a cap and gown and a s piece of scrap paper. 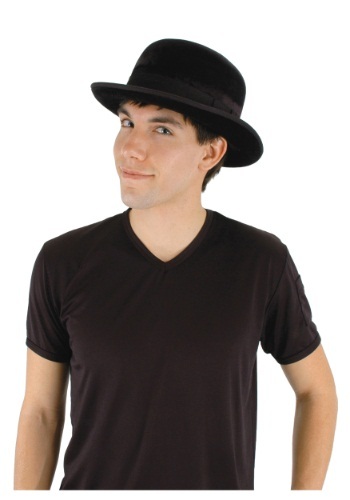 No Victorian-era gentleman would be seen in public without his hat, and this Black Velour Bowler Hat lets you achieve that look. Wear it with any black suit. Did you know that many Old West cowboys and gunslingers also wore bowler hats? The style that we now think of as a "cowboy hat" didn't come along until much later. You manly stud, you. You caught sight of this brown bowler hat and you thought to yourself, "I most definitely need such a delightful accessory to place a top my head to be the finest gentleman around town." It's The Abominable Snow Monster of the North A.K.A. The Bumble! His occupation is being the main Yeti of the North, his hobbies include eating small creatures, and he dislikes all this Christmas. Bundle up like the Bumble when you wear this Bumble Hoodie Hat. All aboard! Let the passengers know that the train is about to go. They better round up their children and get all their luggage loaded on board. You don't want to leave anybody behind so you better call out once last time, 'all aboard!' 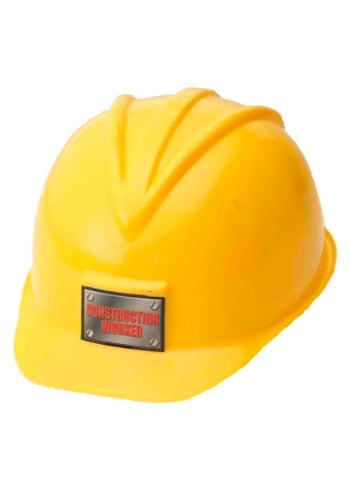 Your son will love playing conductor while he wears this child's engineer hat. There's no telling where the imaginary train is going to take him, so set him up for the long haul with this fun accessory. 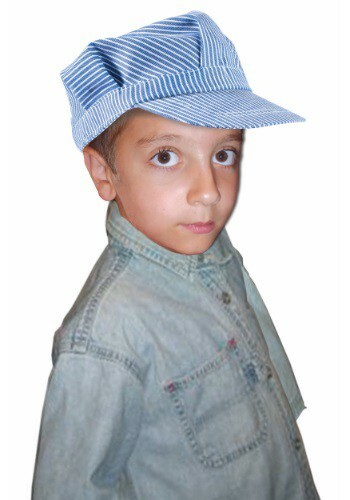 If your kid's dream is to conduct a steam engine, then he's either been watching a lot of cartoons involving a tank-engine, or he's really into steampunk, Either way, this Child Engineer Hat is perfect for any kid who dreams of being a train conductor. Become a wildlife loving frontiersman! Give Davy Crockett a run for his money when you wear this Child Imitation Fur Trapper Hat. This hat will keep your head warm while your on the hunt for raccoons, deer, and even grizzly bears! Everyone looks classy in a hat like this! 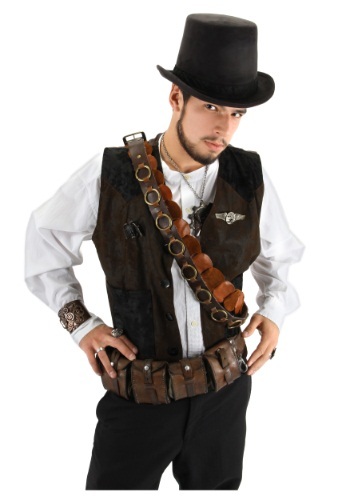 This Coachman Black hat is perfect for a steampunk costume. 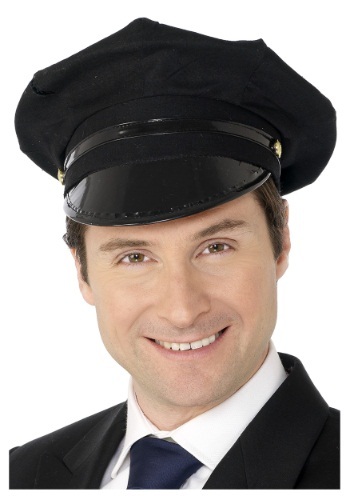 You'll be one cool conductor in this hat! Is there such a thing as a kid who doesn't like cookies? Possibly, but only if the kid in question has never HAD cookies, so almost any kid will love this warm, cozy & fun Cookie Monster Kids Hat. 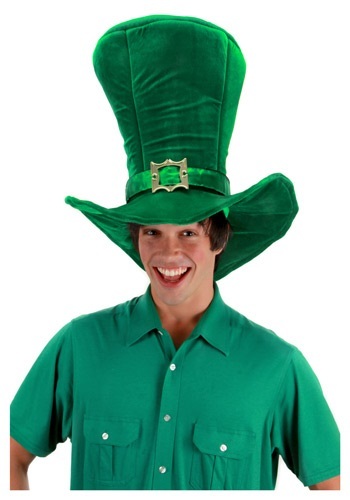 Wish everyone "top o' the mornin'" in this Giant Leprechaun Hat. The oversized top hat stands 14" high and has an 18" diameter at the brim. Perfect with any leprechaun costume! This Girls Black Crown lets you exercise your imagination. It's a different twist to top off a red princess gown. 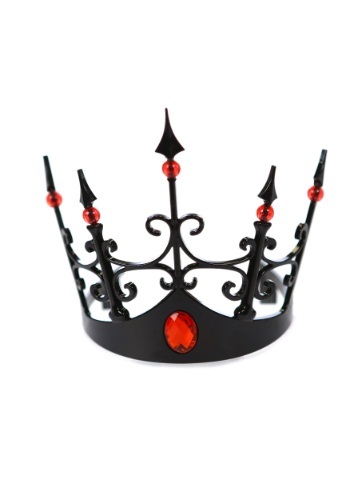 Or you can be a specific character such as the Queen of Hearts or any evil fairy tale queen. Or you can be a witch queen. You can choose! 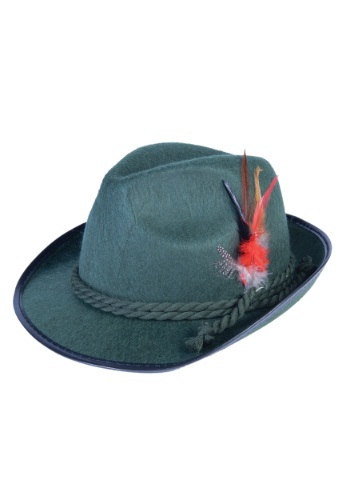 We know that every day you fight the urge to put on a green hat and celebrate life with a big stein of beer. We're here to tell you, that it's okay. We understand. This fedora is made for just those types of urges, so don't be self conscious about it. Pop it on your head and get to the party! Now you can look like your favorite smiling cat, Ms. Hello Kitty! Any Hello Kitty fan would love to wear this Hello Kitty Hat. This adorable hat will keep your head warm during cold months and it also looks great with any Hello Kitty costume that we sell! Bundle up your baby and make him look like Bert! Your little one will love being cozy in this Kids Bert Hat. This cute hat is made from wool and nylon. If you like this hat, check out our Big Bird hat for toddlers! Word's out... Koalas are the cutest animals in the entire world. They are big-eyed, big-nosed, mega furry, and they love to hang out in the trees and munch on Eucalyptus leaves (which sounds like a great way to pass some time). In reality, we've heard that Koalas can be kind of mean, but we still like to think they're just awesomely friendly! So don't go bursting that bubble real koalas! We like to think you're adorable cuddle buddies just like this Kirby the Koala hat! Penguins are probably cold all the time. They live in the Antarctic for Pete's sake! And swimming in that ultra cold water around icebergs? Forget about it! It would be like living in an icebox all the time. Those penguins should wear a hat to keep warm, and what better than a cap in the shape of a penguin? But, since we don't have that many penguin customers, we think it makes a great look for your human child. It's warm and cozy, and the basic black & white colors go with almost any winter jacket (or tuxedo)! We've heard that folks wearing this Robbie the Raccoon hat suddenly have the urge to rummage through the neighbor's trash cans and wash whatever they find in a cool stream! But those are just silly rumors... Raccoons, despite their moniker as common pests, are actually very smart and undeniably adorable. You can break negative raccoon stereotypes with this raccoon hat! It's cute, cozy, knit, and will keep you warm all winter long. Just like the real critter! All we ask is that you always look both ways when crossing the street, and, of course, wash your snacks before consumption. Now your little girl can feel as magical and as enchanted as a unicorn during the frigid winter months! 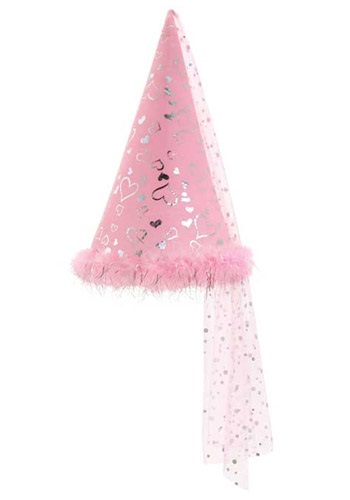 This Ummi the Unicorn hat is a cute plush hat that is also very cozy. It goes with many different colors of winter coats, and let's all just admit that being a unicorn for the winter is like, totally epic? Being one of the rarest and most legendary beasts around? Yes please! All you need is this hat! Finding a rainbow to stand in front of wouldn't hurt either. The Sherpas have a saying that begins, "There is a Yeti in the back of everyone's mind..." If you're going to have a Yeti in the back of your mind, why not wear this Kids Yuki the Yeti Hat and have one on your head? And besides being cute, it will also keep your ears toasty warm on cold winter days. You can choose whether you want to be abominable or adorable. We don't think it's crazy that you think you were a cat in a previous lifetime. We do, however think it's crazy that you're not wearing this adorable kitty hood as a means to keep in touch with your former life. Of course, you could just wear it to look cute. We're okay with that reasoning too. The person who buys this hat should treat it well, I wore it for over two hours before I wrote about it. Seriously...I'll be watching! Who's in charge of this operation? You? You need to let all your soldiers know exaclty who to take orders from and the best way to do that is with your uniform. This Men's Black Beret w/Flash adds that you-take-orders-from-me kind of vibe that you really want when you're trying to command a mission. If you want to be dapper, then you can't go wrong with our Mini Satin Bowler Hat! It looks like the classic hats of old that would have been found at the finest haberdasheries. You can do a silly walk, or tip your hat to the debutantes. We do declare, the possibilities with this Mini Satin Bowler Hat are indubitably endless! If your child's bedroom looks like a trash can was dumped there, then this Oscar the Grouch Kids Hat might be appropriate! I'ts warm & cozy, and brings everyone's favorite Grouch along for the ride. Deep down, we think everyone wants to look like a panda bear. Soft, cuddly, warm and cozy. Everyone wants to look and feel like that. This panda shaped hat is probably the closest you'll come without being born a panda. If you're already a panda, then why are you looking at this hat and how did you learn how to use a computer. That's pretty impressive. You'll feel perfectly patriotic while you are wearing this Patriotic Statue of Liberty Hat! It's perfect for the 4th of July. Wear this while you are walking in a parade to show your love for America. Not every day can be a great hair day for a princess. Why, with all the adventure they go on, sometimes they just don't have the time to keep their hair perfect. For those days, it's great to have a cute pink hat to wear. Growing some wicked dreads can take months or eve years. Putting this Plain Rasta Tam on? It only takes a matter of seconds! 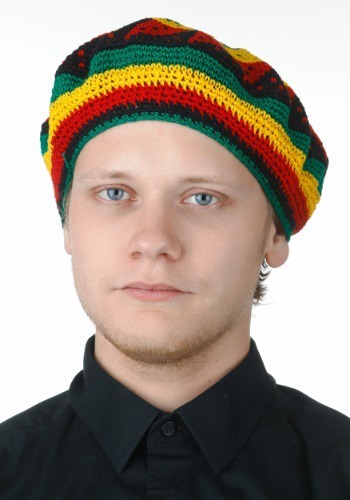 If you feel like putting out the Bob Marley vibe, but just aren't sure about the commitment to locks, then we think you ought to grab this hat and give it a try. If it fits your style, then you can start growing that hair and lockin' it. "Rudolph just landed! Oh wait, that's just Jen. What is she wearing? Oh, it's a Rudolph hat! And it even glows! "Make all of your friends envious of your Christmas style with this authentic Rudolph hat. It's styled after the classic Christmas special and features a built in battery pack so you can let his nose glow the entire Christmas season! A sassy sailor girl needs a sassy hat. You'll sparkle like the ocean while you are out at sea. This sequined hat is very feminine and looks great with the sexiest of sailor costume. Add some anchor jewelry to complete the look. Dogs are man's best friend and the best way to talk to a dog is to look like one. How can you do that easily? By wearing a hat with long floppy ears. Once you have this headpiece on you'll full understand what dogs are saying and thinking. 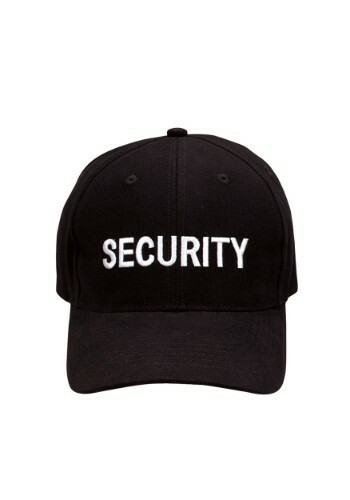 So pick up this hat to communicate with cainies or complete your puppy costume. Add a dash of drama to your look with this eye catching Fever Silver Glitter Mini Top Hat! Wear it to prom, your next costume ball, or with your favorite costume. All aboard! This coachman is going straight to Hell so you might want to hop on board if you want to be on time for your date with the devil. 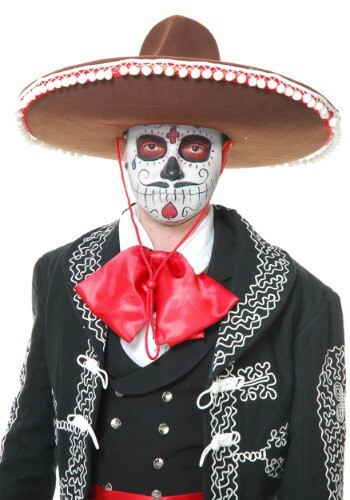 This Skull Coachman Hat is perfect for a one of a kind grim reaper costume. This Steampunk Driver Herringbone Hat gives you a great Victorian look, but you can also use it as a newsboy cap or wear it with a classic aviator costume. It will give a retro flair to any outfit! Before you make your way to Monsters Inc, start your day with a fresh cup of coffee and this Sulley Deluxe Hoodie Hat! It's the officially licensed way to look and think like your favorite James P. Sullivan. You're the big hairy boss! Alright partner, make no sudden movements. Reach for the sky slowly then place you hand on your head. If a Western Outlaw Hat ain't there, something just ain't right. Get along little doggy, get along and get yourself the baddest hat in the wild west.